The Yoast WordPress SEO Plugin Noindex Author Archives Tutorial article is part of a series of SEO tutorials to support the Stallion WordPress SEO Plugin and the Stallion Responsive WordPress SEO Theme. This WordPress SEO tutorial covers the Stallion WordPress SEO Plugin – Yoast WordPress SEO Plugin Noindex Author Archives Warning and the Stallion Responsive Theme – Yoast WordPress SEO Plugin Noindex Author Archives Warning. The Stallion WordPress SEO Plugin under the Not Index tab there’s a similar Block All Author Archives^^ option that’s highlighted in orange (SEO notice). The Stallion WordPress SEO Not Index feature uses canonical URLs (instead of notindex robots meta tags) to recover most (doesn’t recover it all) of the links benefit that would be wasted from using the Yoast WordPress SEO Noindex Author Archives option. The first SEO question is, do WordPress author archives hold SEO value? The quick answer is for most single author sites, no, for multi-author sites, maybe. On multi-author sites the Author Archives could be a unique combination of archived Posts, since they could be unique they could have SEO value: that being said the SERPs targeted on Author Archives are at best an authors name or nickname and there’s better ways to target a page at an authors name (an About Page). So even though they could be unique/useful, there tends to be better solutions. I own a few multi-author sites and only on ONE I allow Author Archives to be indexed: that site is a News Site that I toyed (didn’t develop the site/idea) with the idea to share advertising income (AdSense for example) with the authors and having author archives was useful. For most sites not having author archives makes sense, on all but one site I set the Block All Author Archives^^ Stallion Plugin option. 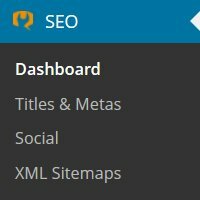 That being said, I use the Stallion Responsive SEO Theme which includes a layout option to enable/disable the Author Archive links: this is important SEO wise to stop wasting link benefit. Scroll to the top of this tutorial article and note just below the title (the title is “Yoast WordPress SEO Plugin Noindex Author Archives”) there’s a Post meta area that includes the author name (my SEO nickname : SEO Dave), date updated, categories archived in… Note the author name “Post by SEO Dave updated” is NOT linked to the Author Archives: in most WordPress themes “SEO Dave” would be a text link to the archives. The combination of the Stallion Responsive Theme Author Archives Link OFF – Show Author Name option and the Stallion WordPress SEO Plugin Block All Author Archives^^ option means, there’s no internal links to the author archives (due to the theme option) and if there are any Google indexed Author archives (there could be links from other sites) the majority of the SEO ranking and link benefit is redirected to the Home page (due to the plugin Not Index option). 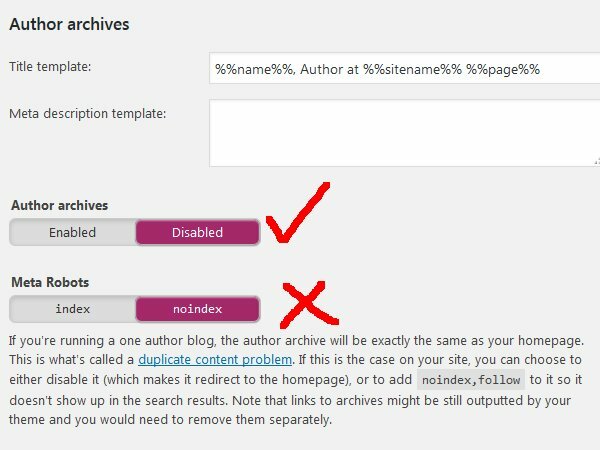 If you lack the ability to remove the author archive links and still block the author archives (using the Stallion SEO plugin) you still recover most of the link benefit: it’s almost all of it, so I wouldn’t worry too much about it (heck of a lot better than using the Yoast noindex robots meta tag option). If like me you are an SEO perfectionist :-) there’s a possible work around. 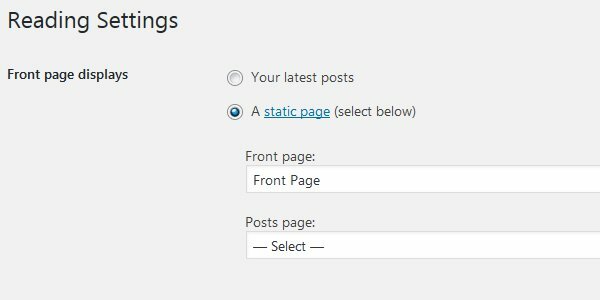 Create a Static Front Page under “Settings” > “Readings” : “Front page displays”, but do not set the “Posts page:” part, this disables the Home Page Archives completely. This site has a Static Front Page, note Page 2 of the Home Page Archives https://stallion-theme.co.uk/page/2/ shows the Static Front Page. When you have no Home Page Archives the Author Archives (which have the same format) are the equivalent of your Home Page Archives. If you are stuck with the Author Archive links and have a Static Front Page and no “Posts page:” set (if “Posts page:” is set you have Home Page Archives) you could allow your Author Archives to be indexed by Google etc… If you go this route I suggest setting the Index First Author Archives Only : Block Paged 2,3,4… Stallion SEO Plugin Not Index option. Setting this Stallion SEO Plugin option will give Google etc… another way to spider and index your Posts and redirect most of the SEO ranking and link benefit to the First Page of the author Archives: Google should only index the first page, but it will still follow the links to your Posts from all the Author Archives. This would be the equivalent of an HTML sitemap of your Posts. Only problem with this work around is the onpage SEO of the Author Archives, at best they target an authors name or nickname rather than a useful SERP: see How To Change the Author Archives Link Anchor Text to at least control the Author Archive pages title tags and the anchor text of internal links : we don’t want Author Archives with the title tag “Admin” and the internal links to have anchor text “Admin”. If you believe WordPress Archives are duplicate content (that’s why many webmasters try to block them) read why categories and tags are not duplicate content.